Colorado State University’s Psychedelic Club is the first drug-specific official club at the University, founded by CSU students Teresa Egbert and Nick Tocci after they noticed a lack of resources for psychedelic information on campus. 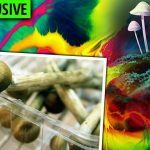 Aimed at providing education and community exposure for new and experienced psychedelic users, the Psychedelic Club is committed to spreading the word about the health benefits of psychedelics, particularly psilocybin mushrooms, in the context of Denver’s upcoming vote to decriminalize their use May 7. Tocci is most interested in the ways psychedelics can impact and help the mental health of those who use them and offers them as a replacement for traditional mental health-related drugs. The Psychedelic Club hosts meetings every Wednesday from 5-7 p.m. in Lory Student Center Room 372. The use of psychedelic drugs as a treatment for mental health symptoms may seem like homeopathic pseudoscience, but this practice is relatively backed by research. According to BBC news, a study done by UK scientist Dr.Carhart-Harris showed the impact of psilocybin on the brain- specifically the amygdala, which controls the processing of fear and anxiety. Education, harm reduction and mental health are all stressed heavily at the Psychedelic Club’s weekly meetings, with different speakers giving presentations, group members leading visitors in group discussions and video-guided meditations setting the atmosphere for the entire meeting. Carroll stresses the importance of harm reduction for psychedelic usage, but thinks it holds special prudence on CSU’s campus. The Psychedelic Club hosts meetings every Wednesday from 5-7 p.m. in Lory Student Center Room 372. The club is open and to anyone, even to those with a casual interest.